So the election is over. The Republicans now control both houses. And several are promising that one of their first jobs is to repeal the Affordable Care Act (ACA). I’m sure there are lots of people jumping up and down with glee. How Much is Three Extra Months Worth? I’m in the middle of a project about the future of cancer care in this country. And you can’t talk about cancer treatment these days without also talking about cost. That’s because cancer drugs are among the most expensive in the world, with several costing more than $100,000 a year. If you have a 20% copayment, that means $20,000 out of your pocket. Yet most of these drugs extend life just a few months and most have significant side effects. Let’s take a look at one drug approved this year: Zykadia, indicated for a type of late-stage lung cancer. It costs $13,200 a month, or $158,000 a year. It works exactly the same a drug approved three years earlier for the same type of cancer, Xalkori, which costs about $2,000 a month less (although still pricy at $11,500 a month). In clinical trials, it staved off cancer progression for a median of seven months (meaning half the patients in the trial saw their cancer begin growing again in less than seven months; half in more than seven months). Can We Teach Physicians to Consider Cost? My best friend’s daughter is pre-med in college. She’s brilliant, and is planning to become a developmental pediatrician (as of now, at least). By the time she enters medical school in two years, I really hope she learns not only anatomy and physiology, diagnosis, and how to insert a breathing tube, but how to consider the cost of the care she provides. Is Your Mammogram Worth the Price? When two people mention the same thing to me within a week, I know it’s time to take notice. 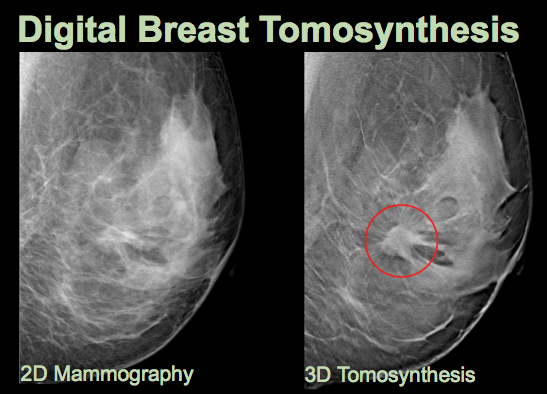 This time it was 3-D mammograms (aka digital breast tomosynthesis). Hospital radiology departments and mammogram centers are marketing them as if they were the new female Viagra and yet. . . we don’t yet know if the risks are worth the benefits. A traditional mammogram consists of vertical and horizontal images. The 3-D mammogram, as its name implies, provides a more holistic view as it swings in an arc around the breast, then combines those pictures into a three-dimensional image just like a CT scan. Studies find that combining the two may reduce call backs for additional tests and improve cancer detection rates. Overall, the National Cancer Institute reports, about 20 percent of breast cancers are missed during mammography and about 10 percent of women get called back for further screening. The CT Scan Cost HOW Much?? So a couple of months ago I saw my doctor about this chronic pain in my lower right abdomen. I’d had it for about a year, sometimes barely noticeable, sometimes more noticeable, and, being a medical writer, I was certain it was ovarian cancer (don’t ask my why, but I’m convinced that this is the cancer lying in wait for me, even though I have no risk factors. Medical writers are only second to med students in terms of hypochondria). Anyway, my doctor thought it was probably gynecologic and told me to see my gyn. But he also suggested a CT scan to rule out a kidney infection or stone. Sure, I said, and off I went to radiology. Long story short, we still don’t know why I have this sometimes pain, but it’s not that bad and I’ll just live with it (until it turns out to be something serious and it kills me [see, I told you medical writers were hypochondriacs]). This blog comes to you courtesy of a nasty exchange on Facebook. It started with a posting about the fact that an insurance plan offered through the state exchange did not include the regional children’s hospital in its network. This is happening around the country as insurers limit provider networks in order to keep premiums within prescribed limits, whether those limits are mandated by the Affordable Care Act or by the employer paying for the health insurance. And it’s no secret that specialty hospitals like children’s hospitals and teaching hospitals have far higher costs than community hospitals. Reasons include the cost of training medical residents and fellows, the high percentage of Medicaid patients they see as well as the high percentage of uncompensated care they provide, and their mission to do research as well as provide patient care. They do receive additional federal and state funding to compensate — at least partly — for those expenditures, but in this day of shrinking budgets it doesn’t cover it all. How Much for That Shoulder Replacement? Forgive the blog silence, I’ve been online trying to sign up for health insurance on www.healthcare.gov (just a little healthcare reform humor there). So today we’re going to do a bit of math. Don’t worry — I’m not a math person so this will be simple and painless. We’re going back to my aunt, who was prominently featured in my last post. She’s doing quite well ( thanks to all who sent good wishes). And she just received the first of what will be many bills. This one was for the surgery and hospitalization. The hospital billed Medicare $11,851. Keep in mind that’s for the hospital only. Not the radiologist who read her xrays, or the anesthesiologist who made sure she felt no pain, or the surgeon who replaced her shoulder, or the visiting nurse, or the physical therapist, or the outpatient prescription medications. Just the facility charges for the surgery and three days in the hospital. Medicare and her supplemental insurance paid the hospital $2,016 — about 17 percent of the total charges (don’t worry, I used an online calculator to figure this out). She had no copay thanks to that supplemental insurance.